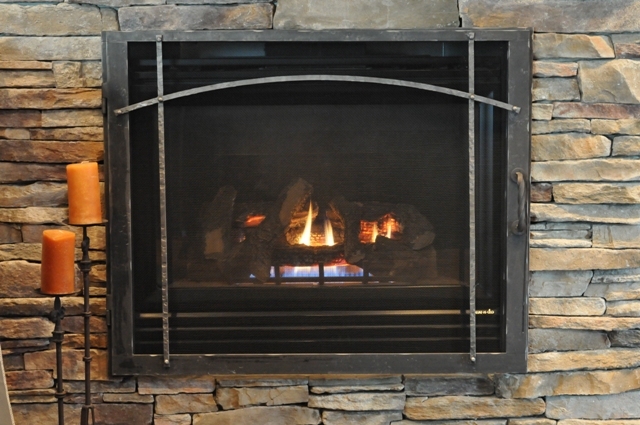 Our Heritage Series of fireplace doors offers you maximum viewing with a single door for your direct vent gas fireplace. The Heritage Series of single doors for gas fireplaces offer the superior craftsmanship and distinctive design Ironhaus is known for, in a variety of design styles and sizes to fit your specific needs. Our cabinet doors are constructed of the finest 1/4″ thick heavy duty iron, are tested and rated for the highest quality and safety standards, and will give you give you a spectacular fire burning presentation. Innovative features like our Mason’s Form make installation seamless and easy.